Explore one of the most impressive and biologically diverse places on earth. 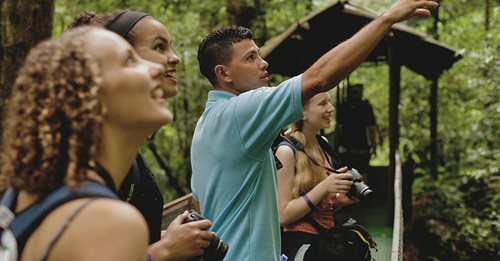 From the agricultral sciences of EARTH University to the La Selva Biological Station in Sarapiqui, students get an in-depth education in environmental science and conservation initiatives. Find out what EF Educational Tours and EcoSchools are doing to create environmentally resposible citizens. Let us know a little bit more about you! Let us learn a little more about you!